I’ve painted pumpkins, carved pumpkins, decorated with pumpkins and eaten my way through pumpkin spiced everything. 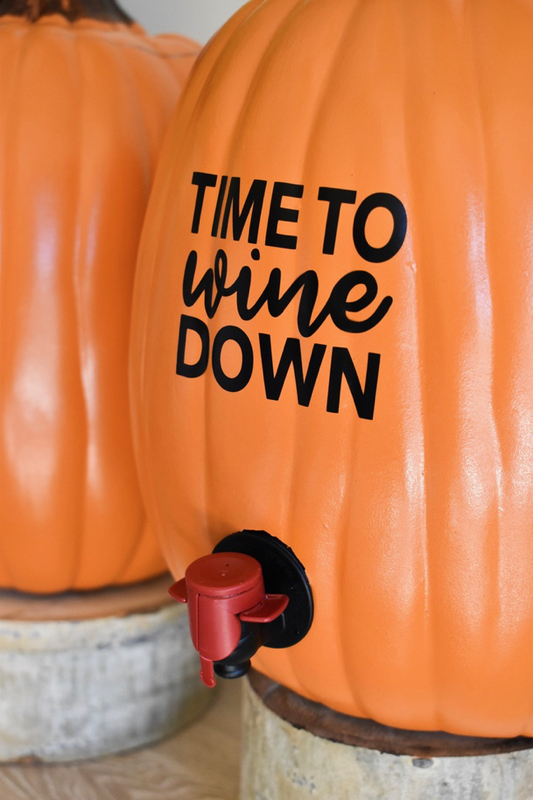 But, I have never poured wine from a pumpkin…until now! I feel like my own fairy godmother. Cinderella’s pumpkin was transformed into a beautiful carriage. 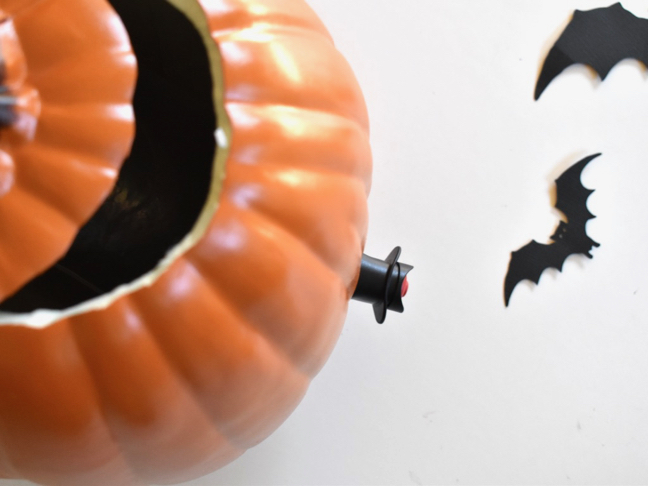 My pumpkin was transformed into a magical wine dispenser. The good news is my spell doesn’t end at midnight. 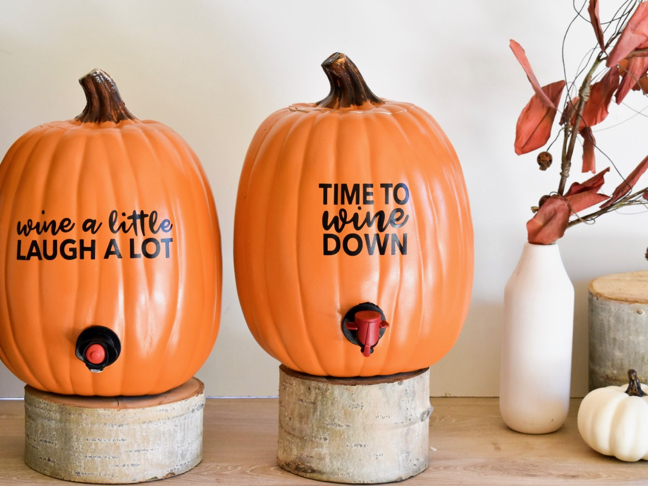 The beauty of this pumpkin wine dispenser is that it’s faux, so I can re-use it year after year. Plus, it’s portable, so I can bring to a tailgate or neighborhood party, give as a hostess gift or birthday gift, or just keep it set up on my own bar all season long! 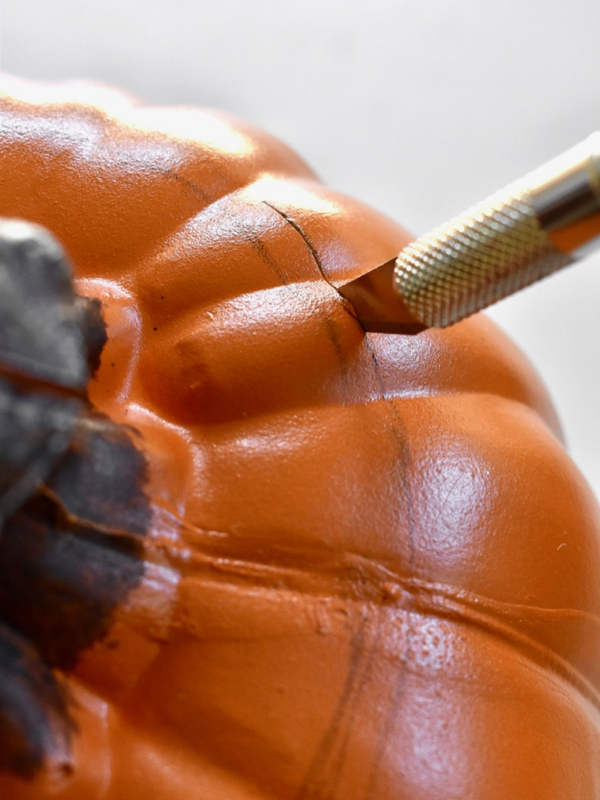 Step 1: Draw a circle on the top of the pumpkin around the stem. It needs to be large enough to fit the wine bag through. I made a free-hand circle, and it was super simple. The black marker washes off with a wet paper towel, so it’s really hard to mess up this step. Step 2: Punch out the circle where the dispenser fits through on the wine box. 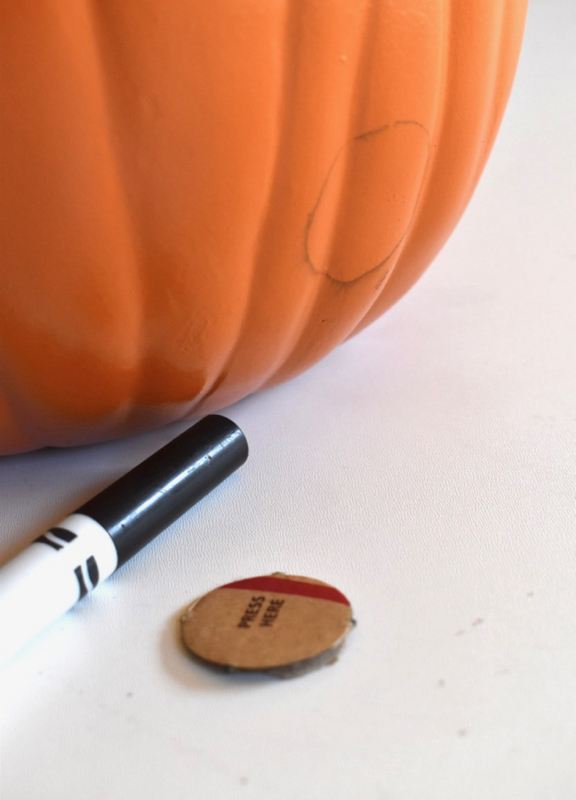 Trace this circle on the pumpkin. 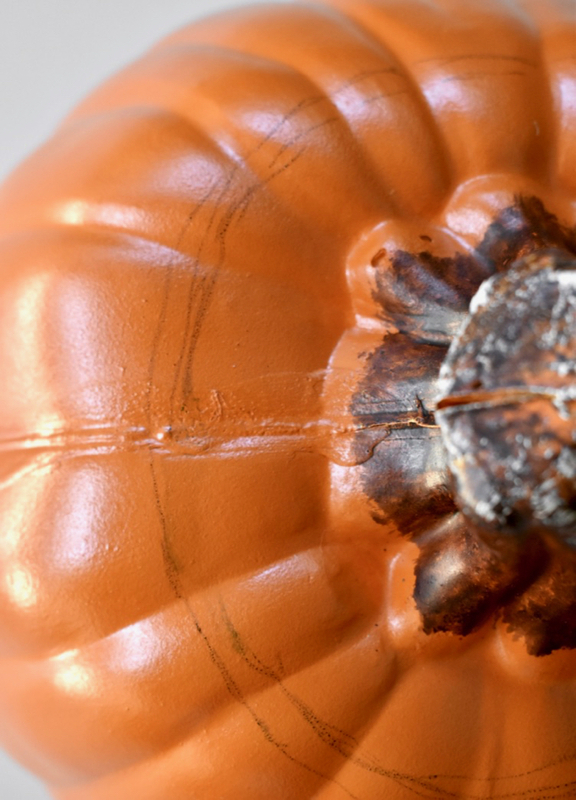 Find a spot on the pumpkin that is in the center, and closer to the bottom of the pumpkin, similar to a real beverage dispenser. Step 3: With the X-acto knife, cut your circles. For the top, I stayed as close to my outline as possible. For the dispenser circle, I cut a circle slightly larger than what I traced so the wider part of the dispenser could fit through. Remember, it’s easier to cut more if you need a larger circle, and it’s impossible to make the circle smaller if you cut it too large to begin with. Use the X-acto knife to shave the circle larger, bit by bit, if need be. 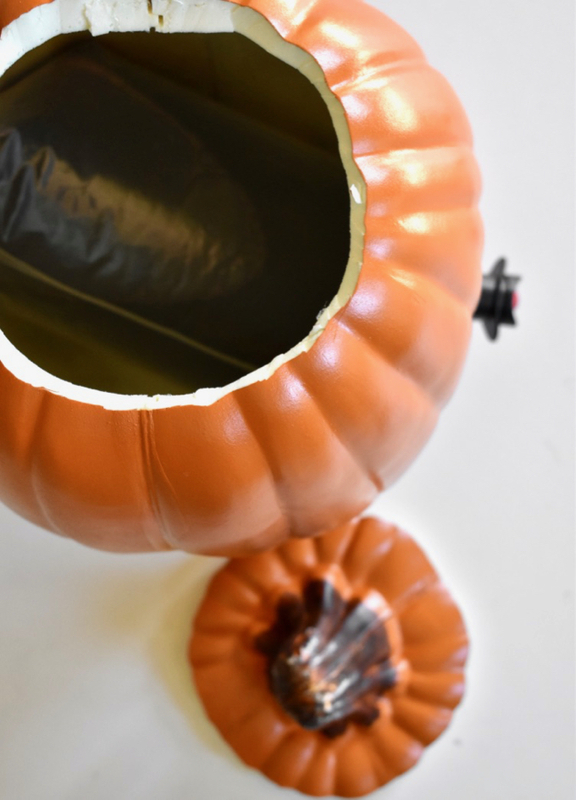 Step 4: Remove the bag of wine from the box, and place it inside the pumpkin. 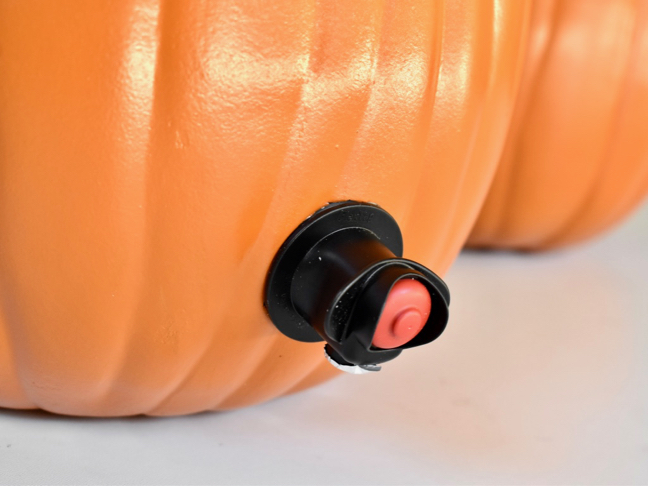 Place your hand in the pumpkin, grab the wine bag dispenser, and push it through the circle in the front of the pumpkin. You will need to push it through slightly sideways initially until one side is in, then the rest can be pushed through the hole. 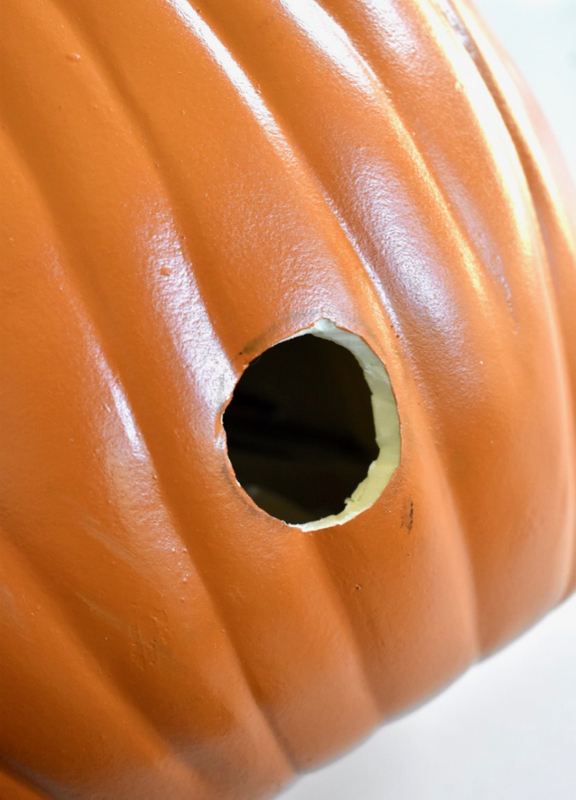 Again, the hole can be made slightly larger at this point if you need to. Step 5: Add vinyl letters to create words and/or phrases. This can be done with a Silhouette or Cameo electronic cutting machine, or just use vinyl alphabet stickers. 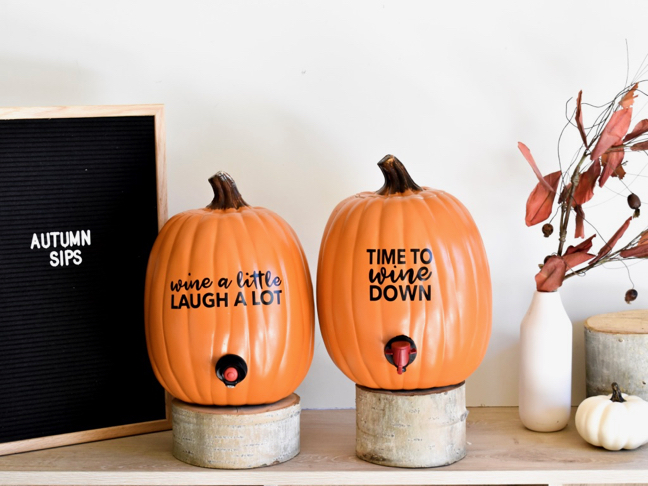 You can customize however you want; however I couldn’t get enough of the wine puns. 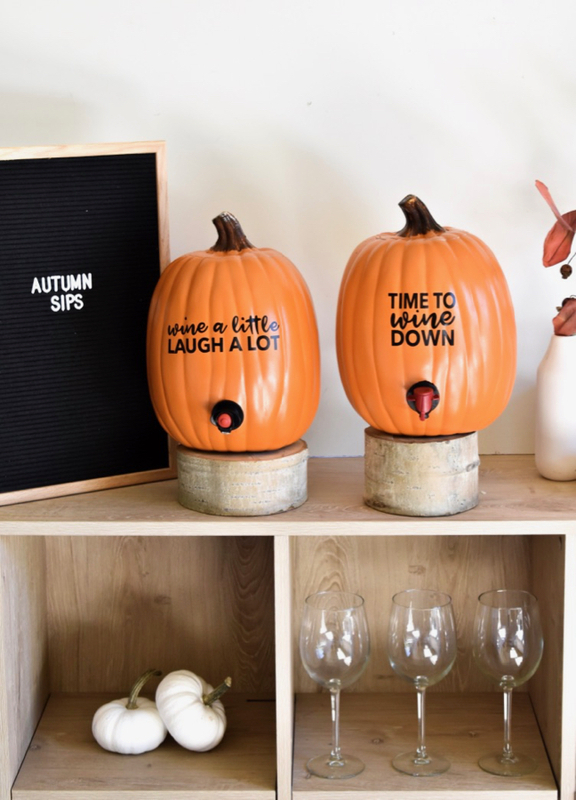 Some ideas include, Time to Wine Down, Wine Not?, Sip Happens, Liquid Therapy, If you want to go with a Halloween theme, I love, I’m Here for the Boos and Happy Hallo-wine. Have fun with it. Cheers!